The Department for Work and Pensions (DWP) has admitted there was an error in the process by which a double amputee from Hackney was assessed as being fit to work and had his benefits reduced. Despite having had both his legs amputated just months earlier, Julius Holgate, 53, scored zero via the points based system to determine what level of benefits he was entitled to. The decision meant he did still receive some money but was left financially worse off and faced a higher risk of having his benefits stopped completely if he did not check in regularly with the job centre and attempt to search for work. He said he worried that without the money he had previously been receiving in employment and support allowance he would not be able to afford to travel to see his physio in Essex. A decision letter noted that although he had no legs, it had been found he could go up and down at least two steps unaided – something Holgate, who uses a wheelchair, said was “pretty much impossible” for him to achieve. 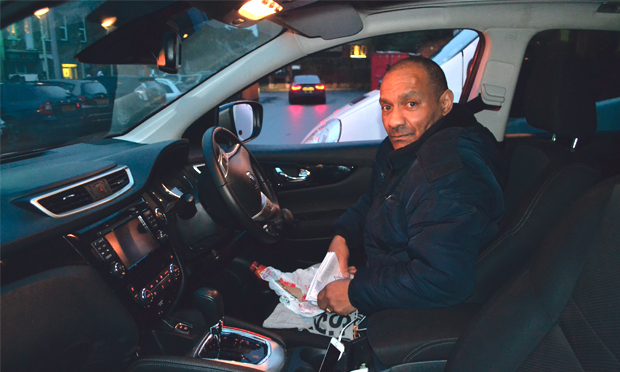 Holgate, who lives off Queensbridge Road, said a DWP contractor had assessed him as part of the government’s back to work regime, and he called the way he had been treated “disgusting”. He said: “I know they are trying to shake people off the list, but they need to be closely looking at it. “It’s […] The way they check people. If they were doctors, specialists, they could tell you that you’re sick. “These people […] they don’t know anything about you, and they can assess you in 15 minutes. Holgate said he has worked in the past, though many years ago. He suffers from chronic obstructive pulmonary disease and said this had been exacerbated by fighting his case with the DWP. Marcin Brajta, a welfare case officer at Hackney Community Law Centre, said the case was “unusual” as he would have expected Holgate to have gained a higher score than zero on the assessment scorecard given that he has various health issues in addition to his obvious physical disability. This article was amended at 4:30pm Friday 3 February 2017. In the original article Julius Holgate stated that Atos was the DWP contractor that had assessed him. However, it was DWP staff who assessed him.